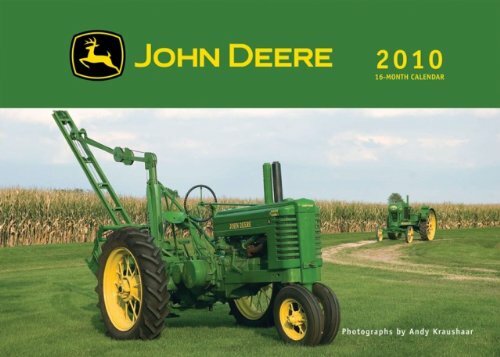 This calendar showcases many of the most beloved John Deere tractors--from the classic two-cylinder models and New Generation tractors to the 21st century tractors of today--in a large, format 16-month calendar. All of these beautifully restored tractors are also highlighted in idyllic rural settings, and inset photos of great tractor details (steering wheels, gauges, engines, stuff tractor geeks love) round out this package. Caption information will include model history, specifications, and horsepower info. If you have any questions about this product by Voyageur Press, contact us by completing and submitting the form below. If you are looking for a specif part number, please include it with your message.